The ancient village of St. Auban lies behind the Loup Gorges and the famous town of Grasse, and is located right on the edge of the Alpes Martimes department, on the borders of the Haute Provence Alps. "A diverse and sporting territory"
An ancient gallo-roman city, St. Auban’s ancient past is still visible in the remains of its castle’s walls, giving evidence of the village’s formerly strategic position over 1000m in altitude. 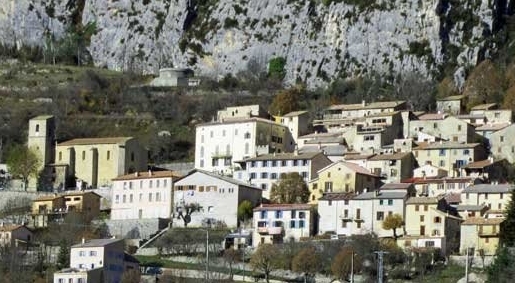 Surrounded by nature and overlooking the vast Pensier forest, the village has been built on the sides of the enormous Tracastel Rock whose descents have been inlaid with staggered low retaining walls. The charming and shaded small lakes surrounding St. Auban are ideal for picnics. St. Auban is also a white water sports area, where it is possible to canyon in the well-known St. Auban gorge with its impressive sheer faces, cliffs and rocks carved out by the river. 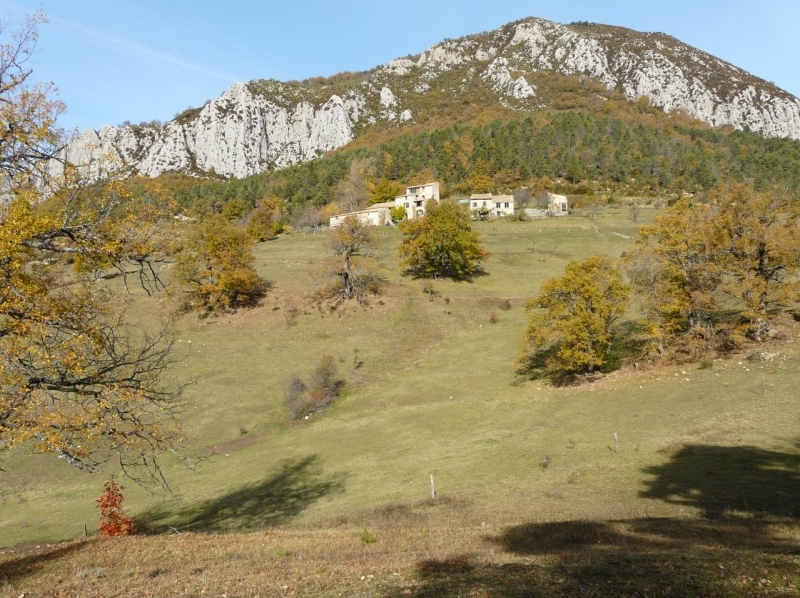 "“Coulâne Rando” – treks in Colettes"
Still within St. Auban’s territory, we will park our cars just outside Prignolet and take a 40 min walk along a donkey trail to get to the Colettes hamlet. 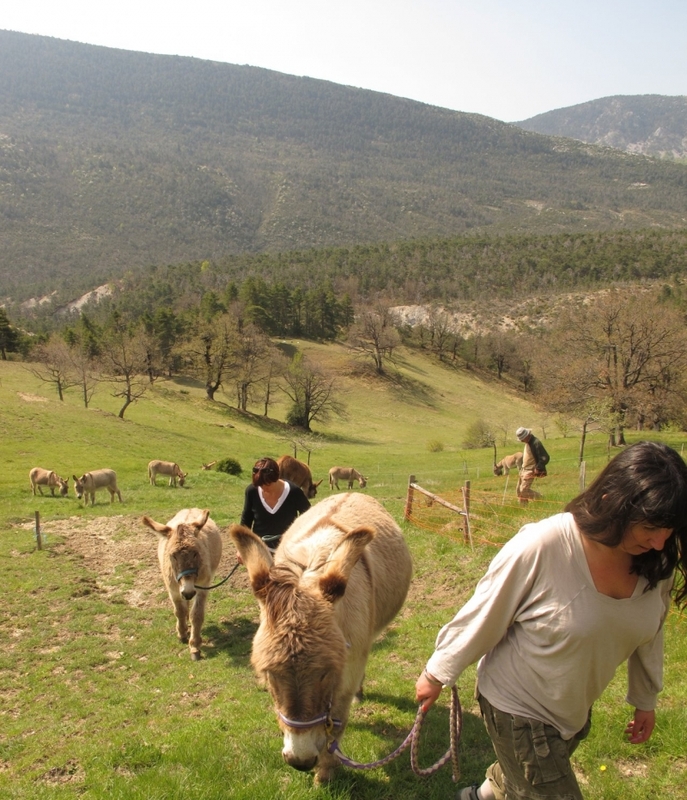 This 13th century eco-area located 1000m in altitude has been attractively restored, and houses a donkey farm for pure “Provencal” donkeys. These lovely gentle creatures will carry our luggage for our walking trek through forests, ridges and rivers. We start each day-long trek armed with a map, topographical map and picnic, returning each evening to our base in the Colette hamlet to sleep in a Mongolian style yurt or teepee. 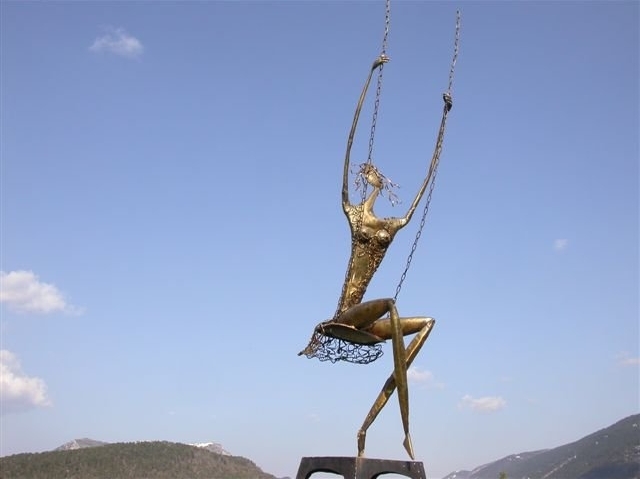 "Jean-Jacques Tosello - “lightening smith”"
From his forge, this great artist gives new life to pieces of bronze, copper, ceramic, brass, and glass transforming them into furniture, sculptures, wall art, jewellery and decorative objects. 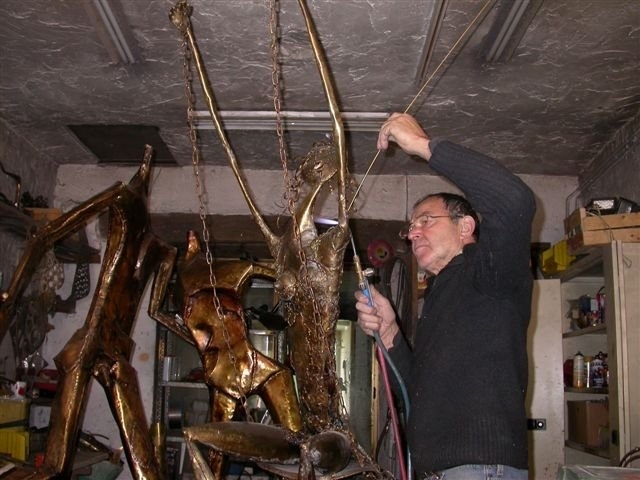 The combination of the forge’s natural surroundings and Tosello’s own artistic sensibilities impart a human dimension to his works which are available to view by appointment in his workshop/gallery in Lattes de St Auban.